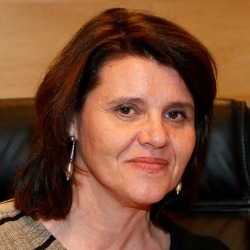 María Luisa Gómez Crespo graduated in Law and Sociology from Pontificia and Complutense University in Madrid. She holds postgraduate degrees in Gender and Development (Institute of Women of Spain), and in Social Leadership, Strategic Planning and Public Policy Evaluation (IESE). The platform analyses the state of the third social sector in Spain, develops the strategic plan for the third social sector and develops programs to promote active citizenship and participation, promoting the interchange with other NGOs in the European Union under the EEAGRANT.